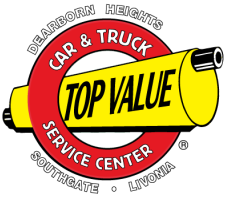 Top Value is looking for experienced auto mechanics for high-volume full-service shops located in Livonia and Southgate. These jobs require real experience in both full service auto repair and complete auto repair inspections. Our goal is to provide services unmatched by others, and we need technicians like you to meet that goal. Financial success and health and well-being for you and your family are part of our program. We offer health, dental, vision, life, and long-term disability insurance. We also provide paid vacations and holidays, 401(K) matching, and very lucrative pay.